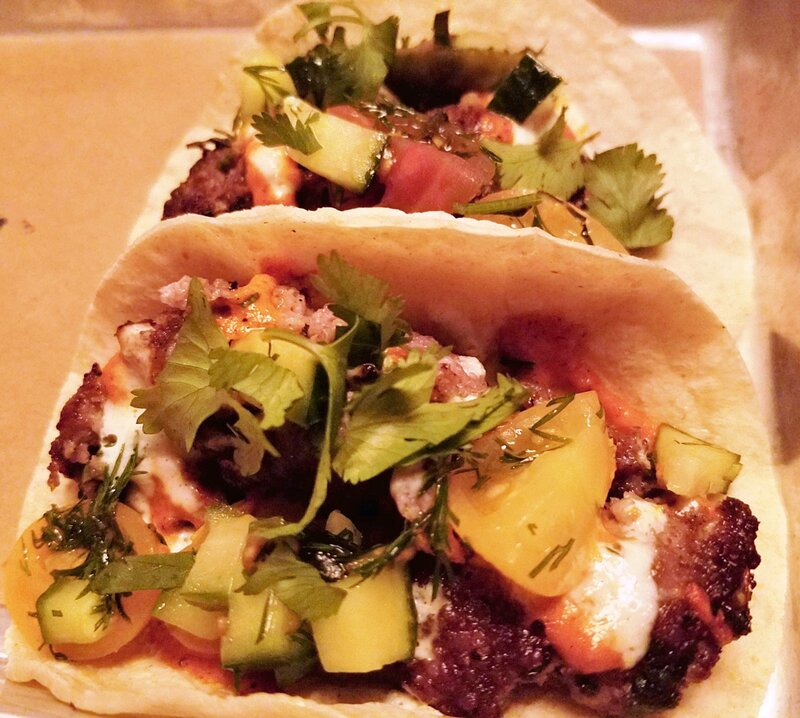 bartaco, Chapel Hill - Style, Flavor and Fun in Taco Form! When it comes to Mexican food, I’m usually looking for a local taqueria serving up tasty carnitas or carne asada in a down-home setting. But every now and then, I enjoy a more modern take on Mexican and tacos. Bartaco is a great example of what you can do with tacos with more fusion-style offering! 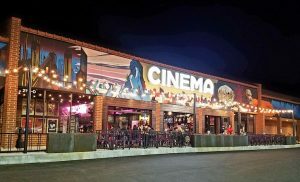 This small chain of taquerias (16 on the East coast) caught my eye after it opened a Triangle location in the summer of 2017. 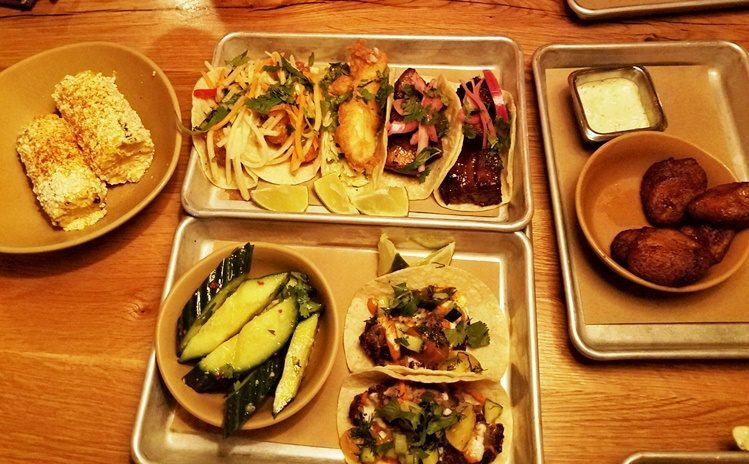 Thankfully, a media invite to visit Bartaco and try out their secret taco hit my email inbox. It’s finally time for a trip to Chapel Hill! 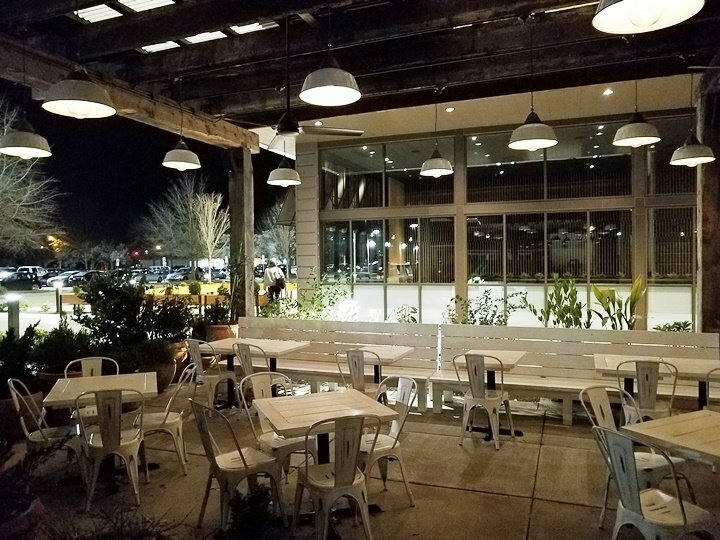 bartaco sits in University Place right next to Silverspot Cinema in Chapel Hill, super convenient! Up front you’ll find a wall of terra cotta planters and a beach-style patio. Inside bartaco, the space has a very organic feel, full of woods and dim lighting, a great looking space. 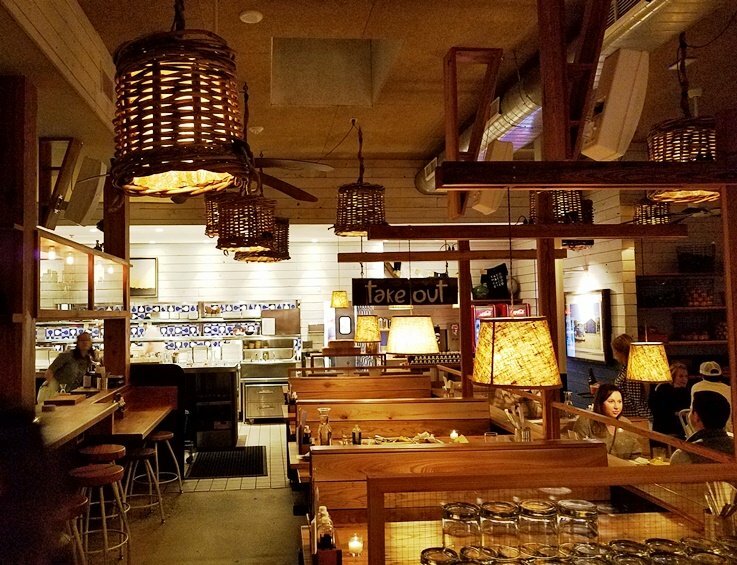 A large U-shaped bar takes up the center of the dining room and the staff uniform puts together white jeans with a blue-checked shirt, it all feels very well put-together. Great ambiance for a date or small party here, the dining room is wonderful! At our table, we’re given some help by our wait-person since we’re bartaco newbies. 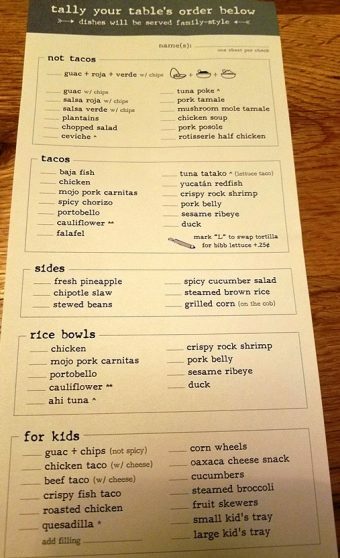 You get a paper menu with all your starters, tacos, side, rice bowls and more. Check off what you want with quantities (or mark L for gluten-free lettuce wrap tacos) and you’ll be good to go. 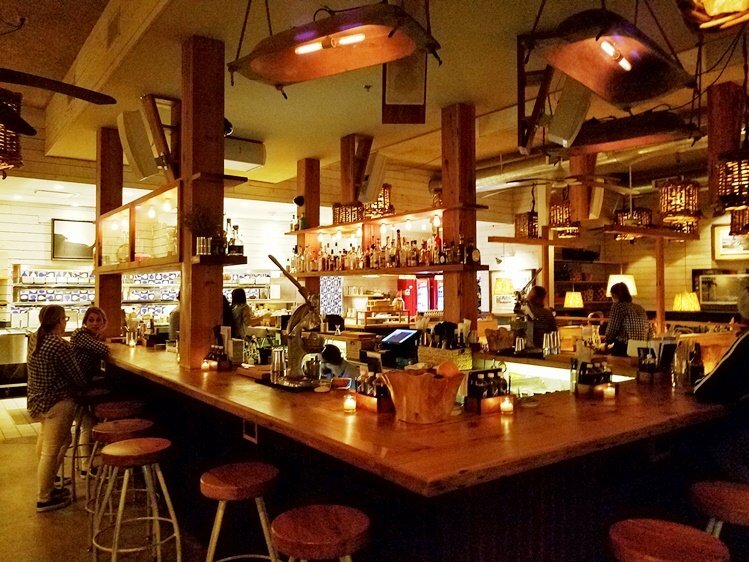 bartaco is pretty busy for a Wednesday night, full of local families and students given its proximity to UNC Chapel Hill. And everyone in the dining room is happily munching on tacos, call me excited! For our media visit, we’re given free rein on the menu and there’s so MUCH to choose from! 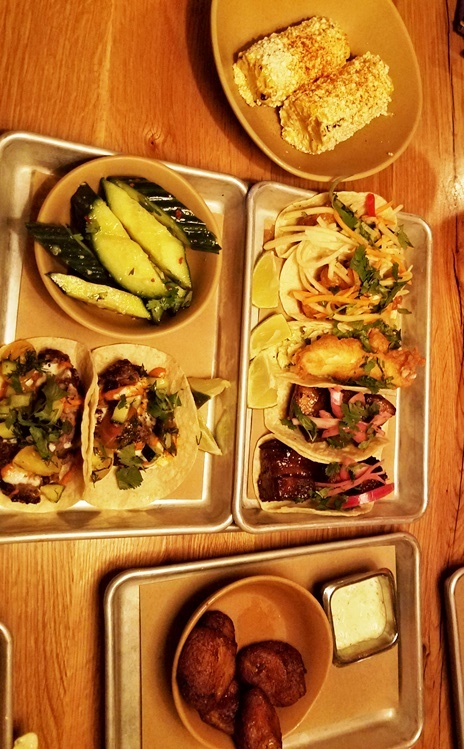 While bartaco has a smaller menu (for a Mexican restaurant) of starters, tacos, sides and rice bowls, it has a good variety within each food category. 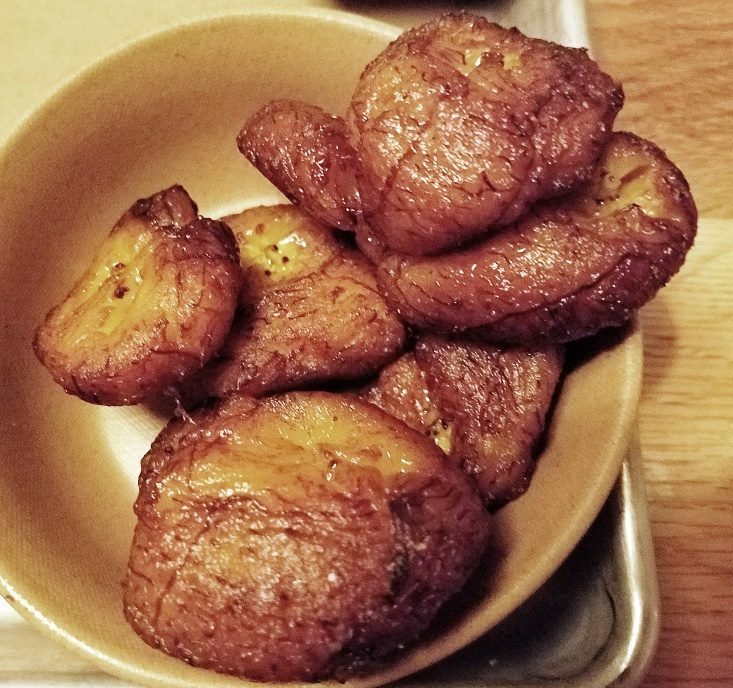 And given I’ve got Linda Eats World with me to help out, we go a little crazy with ordering: plantains, grilled corn, cucumber salad along with Baja fish, rock shrimp, pork belly along with the #bartacosecret, Spiced Lamb! 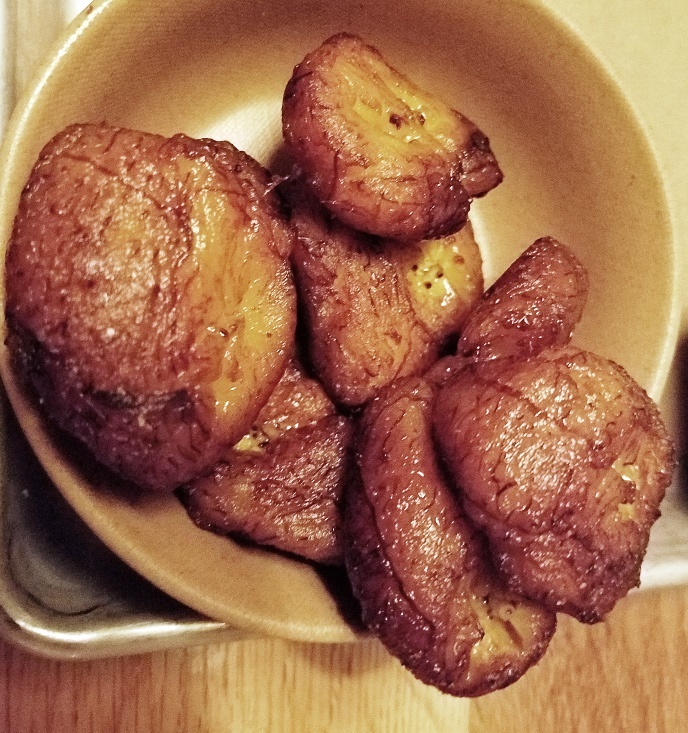 Our sides come out first, some tender, nicely fried plantain nuggets paired with a creamy aioli, yum! 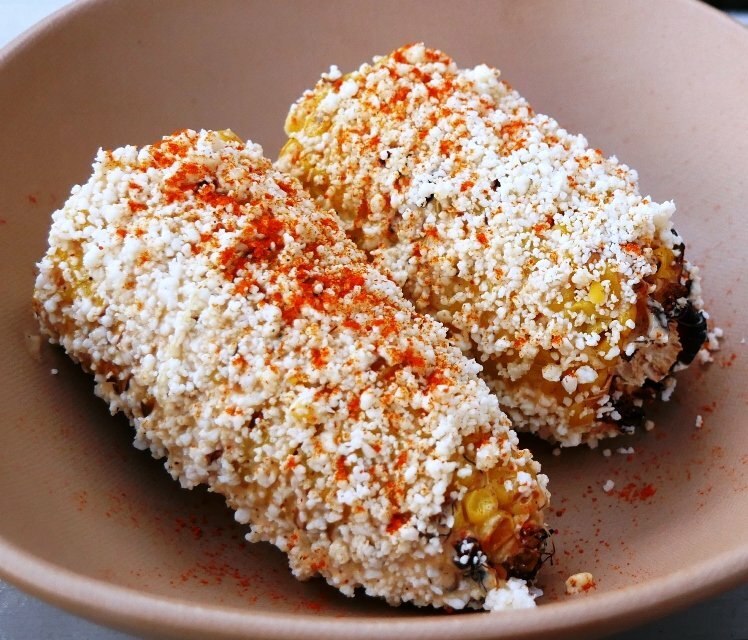 And the grilled corn is fantastic, covered with cotija cheese and a bit of mayo and paprika, excellent. As we’re finishing up our appetizers, the rest of the food comes out and it all looks so good… The only slight miss for me was the cucumber salad. While the preparation was nice, I would have preferred a thinner slice for more surface area and flavor. 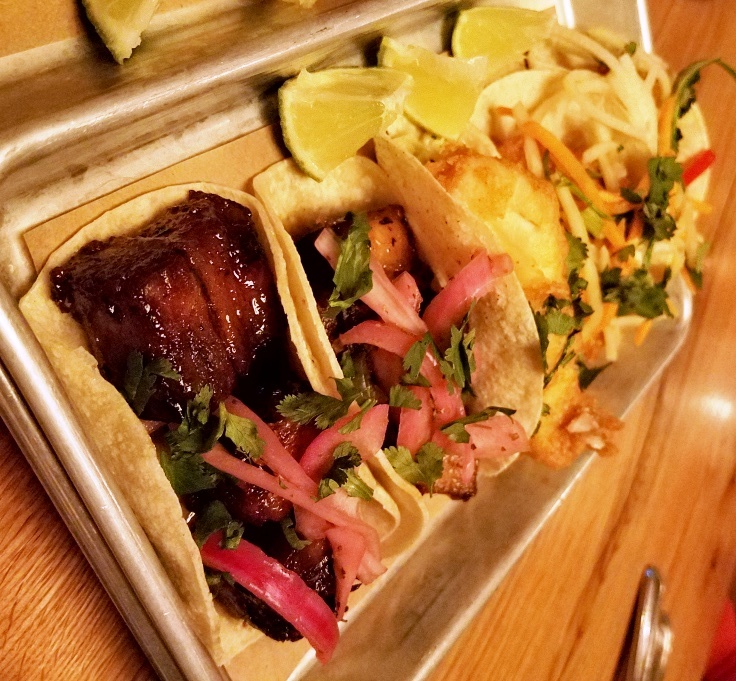 And even though we ordered a lot of food, bartaco tacos are about 2 to 3 bites each so it’s manageable! I start off with the spicy lamb which features tender ground lamb with harissa and lemon crema, it’s nicely light with a taste of the Mediterranean! 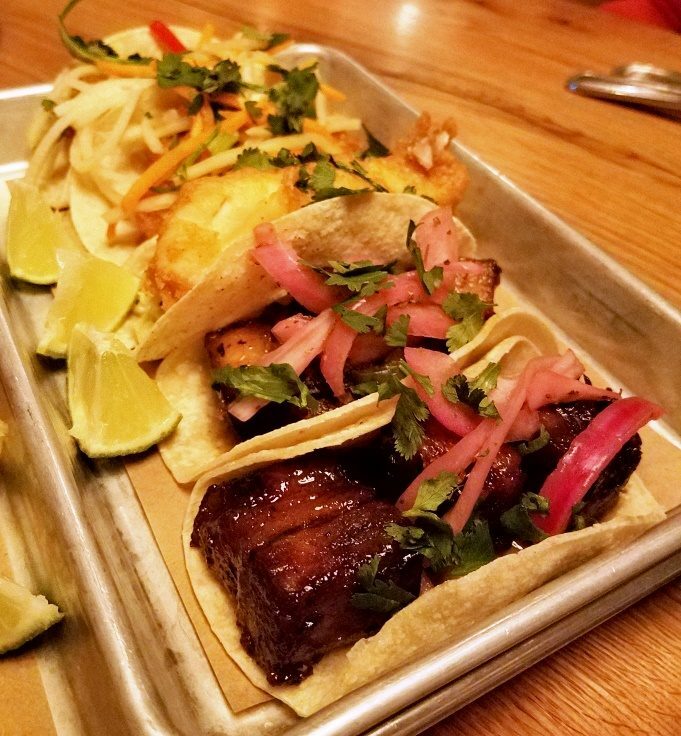 (Note: #bartacosecret is off-menu so you will have to ask your server to see what’s available) The rock shrimp taco is perfectly fried and has quite a bit of spice and heat which is a pleasant surprise. But I’d have to say that the Asian-style pork belly was my favorite! A thick chunk of sweet, lacquered belly, thick sliced and topped with red onion and cilantro. All the tacos are served with fresh wedges of lime for a quick, spritz of citrus on top, if you’d like. While we’re finishing up our meal, bartaco’s manager sends us out one final pair of tacos, the cauliflower which he has raved about. And I’ll tell you what, it was a totally satisfying bite served in a red sauce. 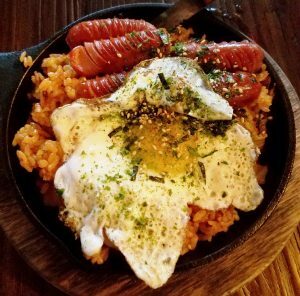 A very worthwhile vegetarian alternative if you’re not feeling the meat. Service throughout our meal at bartaco was excellent. While the staff here is quite young, the are well-trained and understand hospitality which was a pleasant surprise for me from a chain restaurant. And looking over the menu prices, I’m pretty sure you can get out of here for well under $20 for three tacos and an adult beverage which is quite reasonable. 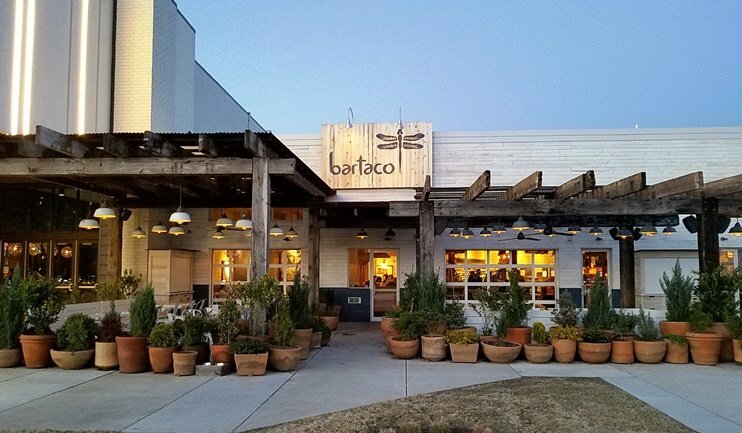 So a slow round of applause for North Carolina’s second bartaco. You’re doing a fine job with a modern, beach-style taco and I can’t wait to come back for a lunch out on that white-washed patio! 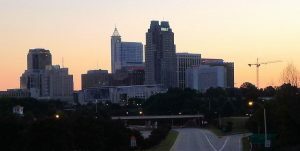 Oh and as luck would have it, it looks like the third location for NC is being built at North Hills, Raleigh which would save me a trip out to Chapel Hill. Hooray bartaco, look forward to trying out your newest location soon!